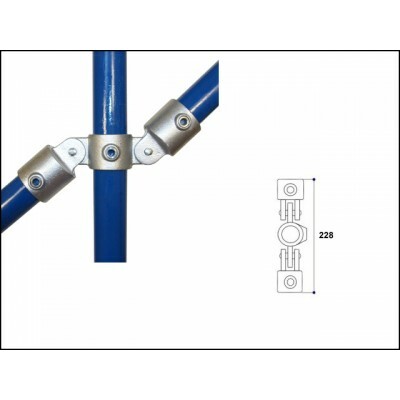 This double swivel connection is a versatile swivel fitting that is suitable for awkward applications where angles cannot be accommodated by adjustable angle fittings. This assembly is riveted together, but the items can be supplied separately as Double Swivel Male Part? (JWICL167M)?and 2 x Single Swivel Combination Female Part (JWICL173F). The through tube, shown as the vertical part in the photo, cannot be joined within the fitting, it should be continues. Warning: Whole structures must not be made from swivel fittings alone as they will not provide sufficient stability.